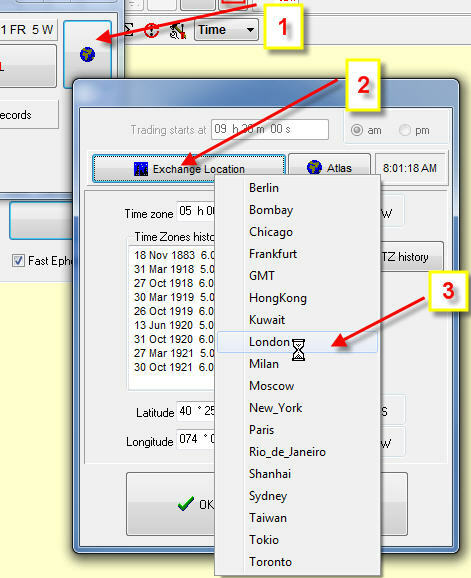 You can do all these tables very easily with Timing Solution software. We have prepared several models for you that help to create those tables very quickly. As an example, let say that you need to create the list of Midpoints culminations. 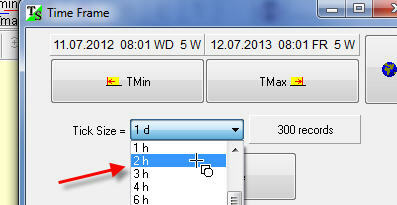 If you plan to use the transiting Moon in your calculations, better set tick 2 hours. 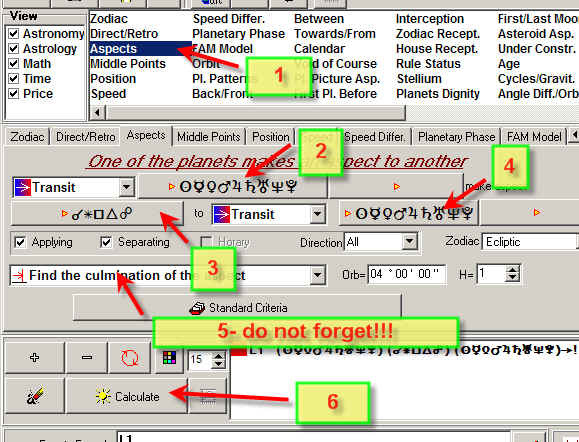 Suppose you need to calculate the Ptolemy aspects for all planets without the Moon. Do not forget to set "Find culmination of the aspect". 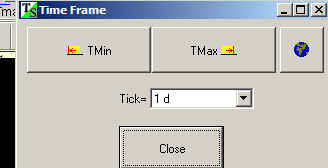 Option #1: Save your results as Timing Solution Calendar. You can send this table to you friends (*.ts_ics file). Option #2: It is possible to save the results as a text or Excel file. 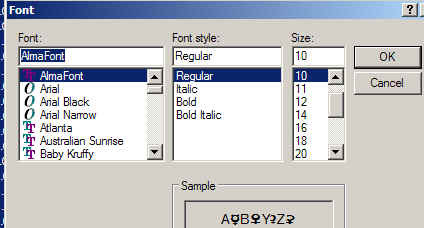 Important: if you save this file and plan to browse it later using Notepad, Word or any other program, do not forget to set AlmaFont font to see the astrological symbols. In previous example we have created a list of aspects culminations. 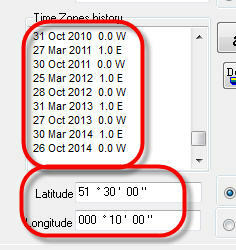 Now let's create more detailed table with aspects, ingresses, direct/retrograde and midpoints. You can also use this module to generate different tables. 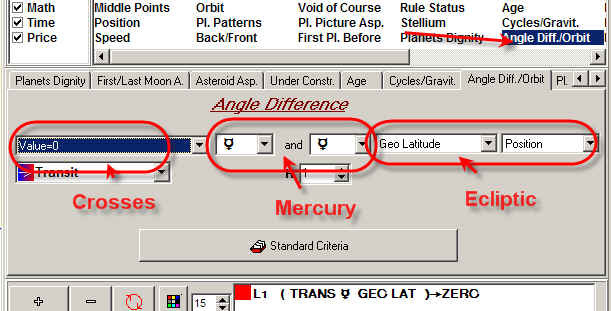 For example: you need to calculate the angle difference between Mercury and Mars.